Kids react with excitement to these unique flash cards that teach 2 math operations and the relationship between them. 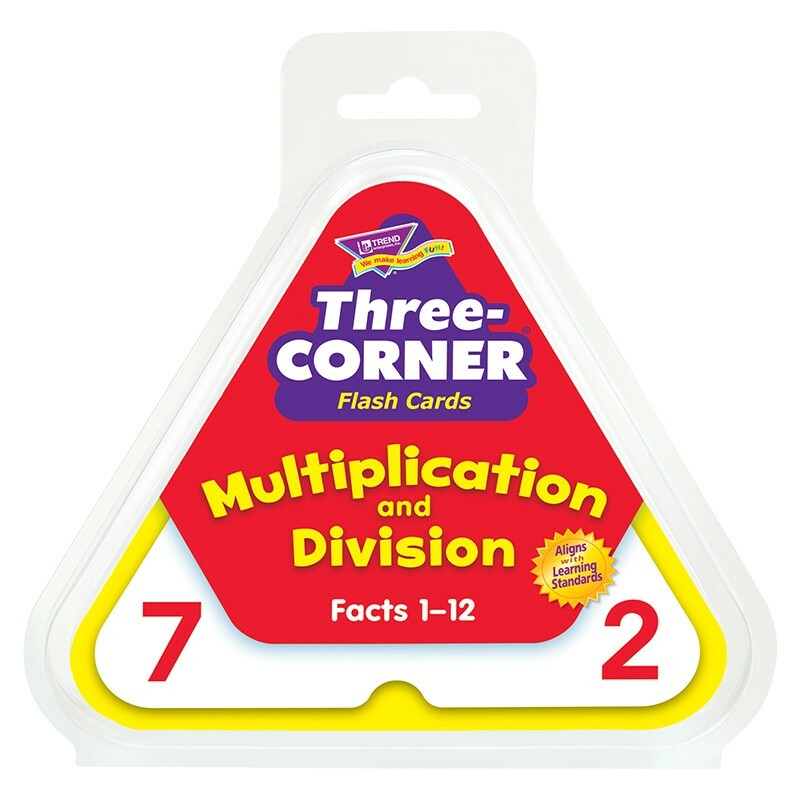 Self-checking cards include multiplication and division facts through 12. Durable and easy to hold. Solo or group play. 48 triangle cards, 5.5". For ages 8 and up.